The EHS Coordinator role is essentially one of leadership. This role is viewed as a feeder for future EHS roles inside the business. The person filling this role will accept the personal responsibility to uphold the plant’s effort to create and maintain an injury free environment that trains, encourages and demands that each employee at all levels of the organization becomes increasingly involved in our pursuit of improved safety and Environmental stewardship. The over-arching principle that will be used to lead our plant is employee engagement (Engagement is defined as an active and positive involvement in the processes of the plant). Join an organization that believes that every employee owns a piece of our bold growth goals and ultimate success. We are a market-leading innovator that has placed on the Fortune 500®. 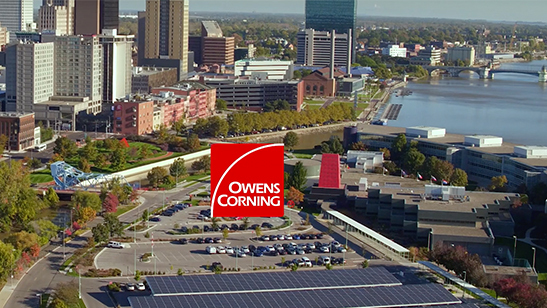 Owens Corning is devoted to delivering sustainable solutions across our three business segments while striving to ensure our people and products make the world a better place. We take pride in having an inclusive and diverse workplace with employees around the globe. 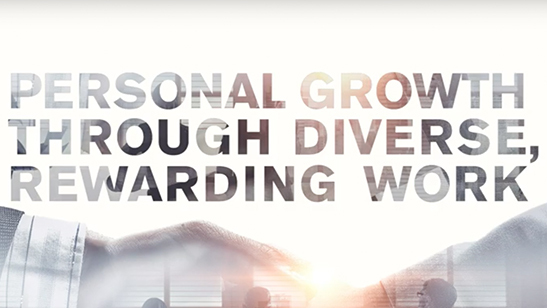 A holistic sense of community exists across our entire organization as our talent grows globally. We are a company that fully recognizes the importance of paving a path to a sustainable and safe enterprise through investing in our people. Our desire to make an impactful difference in the world flows from top down to all levels of the organization. By being a company that instills pride within each and every employee, we aspire to build market-leading businesses; global in scope - human in scale. Lead and maintain Hazardous Waste Program. Lead and maintain Spill Prevention and Control SPCC Program. Maintain the environmental compliance calendar and adhere to all reporting deadlines. Responsible for managing safety & environmental inspections and reporting. Ensure all Inspections have been completed: (fire extinguishers, safety showers, eye wash stations, ladders, cranes, flammable cabinets, first aid cabinets). Provide feedback to employee that are out of compliance. Collect Personal Safe Action Plan (PSAP) from each employee and record. Perform Emergency Evacuation drills with each shift/plant and document accordingly. Applies prescribed hazard analysis methodologies to know at-risk conditions. Assist more experienced professionals in developing solutions for at-risk conditions. Understands and insures compliance with our Lock/Tag/Try system. Respect for the potential hazards within the manufacturing operation. Training and regular auditing of the process. Understands and actively supports the fact that a primary root cause for most accidents is the individual’s personal behavior. Provide safety training to new hires. Comply with safety regulations and maintain a clean and orderly work area. Attend trainings including Hazard Recognition and Control Specialist. Update the EHS board in Obeya room and the EHS Pillar board. Maintain up to date spreadsheets for safety participation and any other employee participation tracking as needed. Document that all environmental and safety inspections are completed in a timely fashion. File documentation in an organized manner. Update and maintain the MSDS program. Submits SAP Notifications for all safety work requests. Meet all corporate deadlines and program implementation. Maintains existing Safety/Environmental programs, systems & processes. Understands the critical nature of personal leadership by example and uses his/her own personal level of high engagement to encourage others. Leaders at all levels reflect the attitudes and values of their leaders, and ultimately those of the Plant Leader. This will be objectively observed by the day-in and day-out demonstration of an active and positive involvement; the EHS Coordinator will demonstrate a sincere desire to be a part of our team, our efforts, and our goals. Studies to develop knowledge of the company operations, specific Safety/Environmental issues, regulations and company practices. Delivers plant floor training as required by these programs, systems and processes. Promotes the well-being and injury-free life for all employees. Understands that continual personal growth is necessary and is intentionally improving year after year. Ability to deliver oral and written communication: Daily huddles, safety stand-downs, etc. Act as a guide and safety trainer for outside contractors. Leads and maintains a good working relationship with all departments and teams. Be an active member of the EHS Pillar Team. Attend TPM meeting of other pillars and provide support as needed. A review of this position has excluded the marginal functions of the position that are incidental to the performance of fundamental job duties. All duties and responsibilities are essential job functions and requirements and are subject to possible modification to reasonably accommodate individuals with disabilities. To perform this job successfully, the incumbents(s) will possess the skills, aptitudes, and abilities to perform each duty proficiently. Some requirements may exclude individuals who pose a direct threat or significant risk to the health or safety of themselves or others. The requirements listed in this document are the minimum levels of knowledge, skills, and abilities.